The Best of Teacher Entrepreneurs II: FREE MISC. 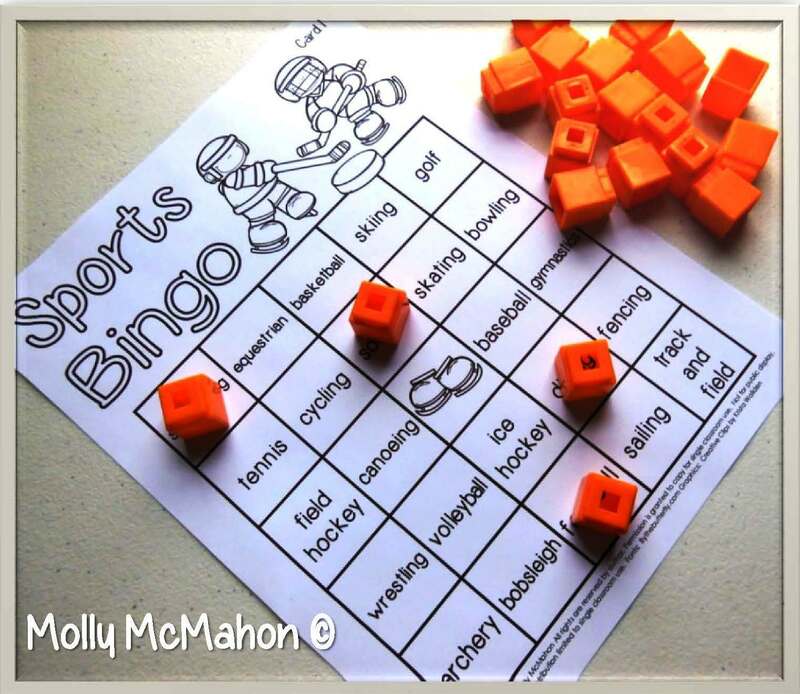 LESSON "Sports Theme Attributes"
Hello viewers! I am thrilled to have an opportunity to post on The Best of Teacher Entrepreneurs 2 blog for the first time! I hope that you were able to enjoy part of Super Bowl L 50. My favorite part of the big game was when a move to deflect the ball from the receiver turned into a one handed interception catch. 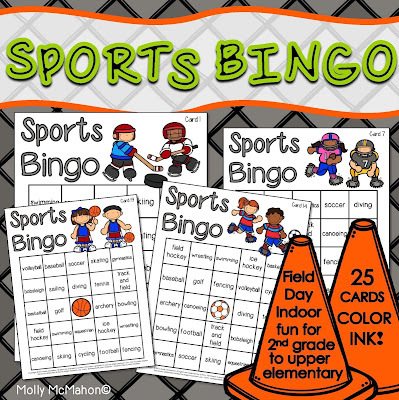 I have a sports themed freebie that you can add to your sports file. 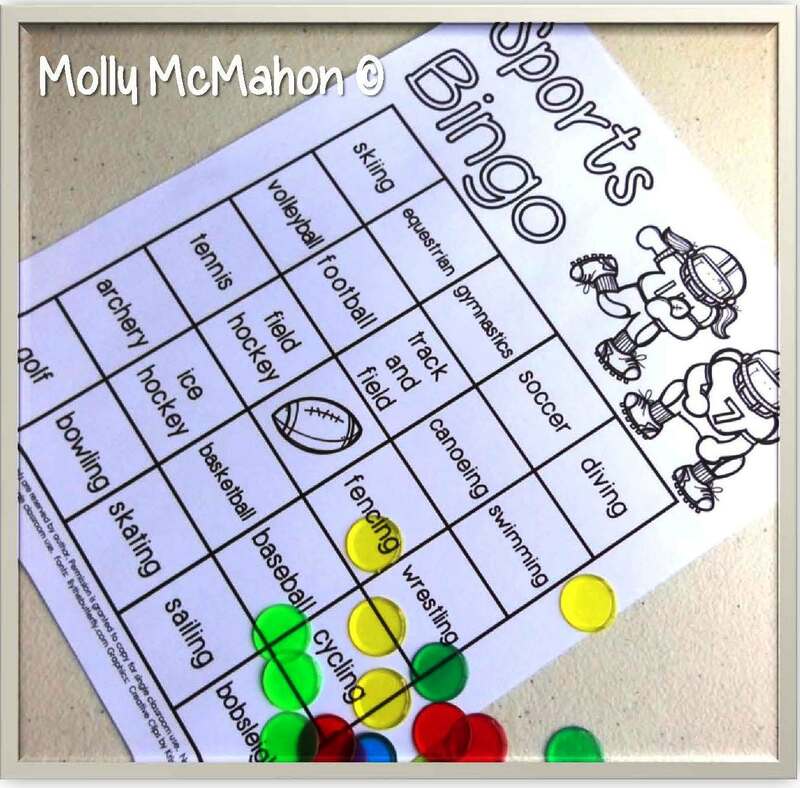 Your students will need to have some knowledge of various sports to answer the questions. They'll also need to be proficient reading at 2nd grade level or you can read the questions and answers out loud. 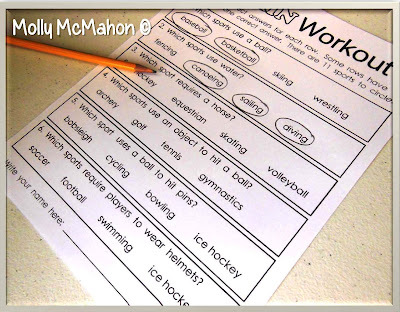 Worksheets will often have just ONE correct answer per question. Our students get acclimated to this idea. It's not a good thing. I wanted to make something that could have 1, 2, or 3 correct answers. I've also included an answer key. This printable can be placed in a center area. The children can check their own answers with the key. 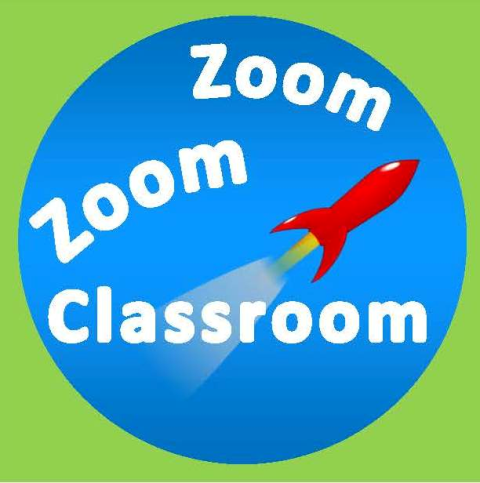 Click the image shown below to grab the freebie. 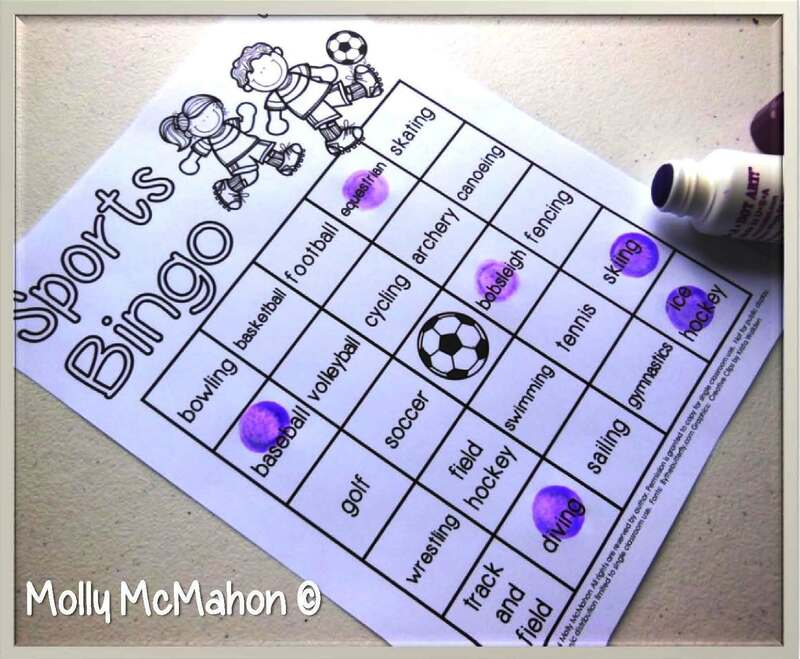 I've updated my sports bingo games. I LOVE the kids in action graphics that were created by Krista Wallden! The bingo games can be used along with a unit about sports. 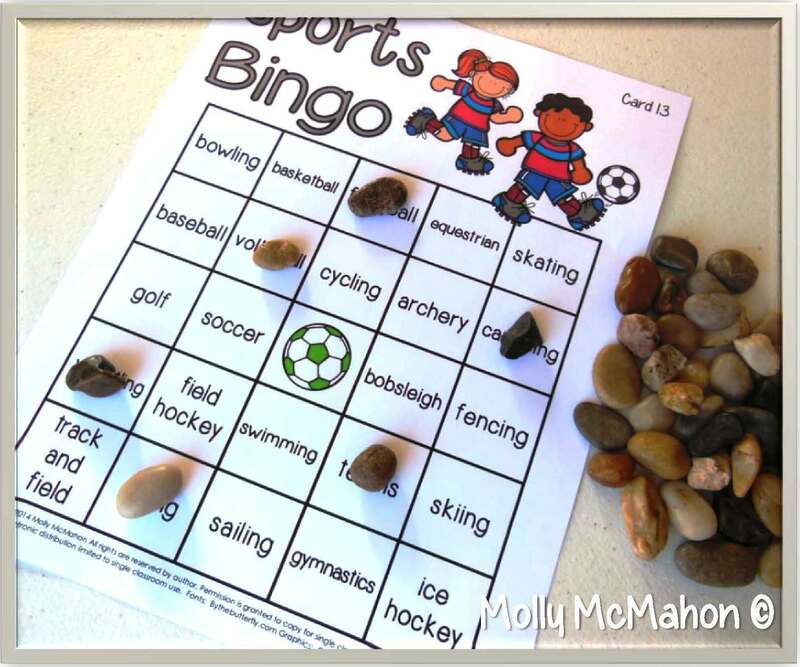 They're also useful when your field day rotations include an indoor activity. 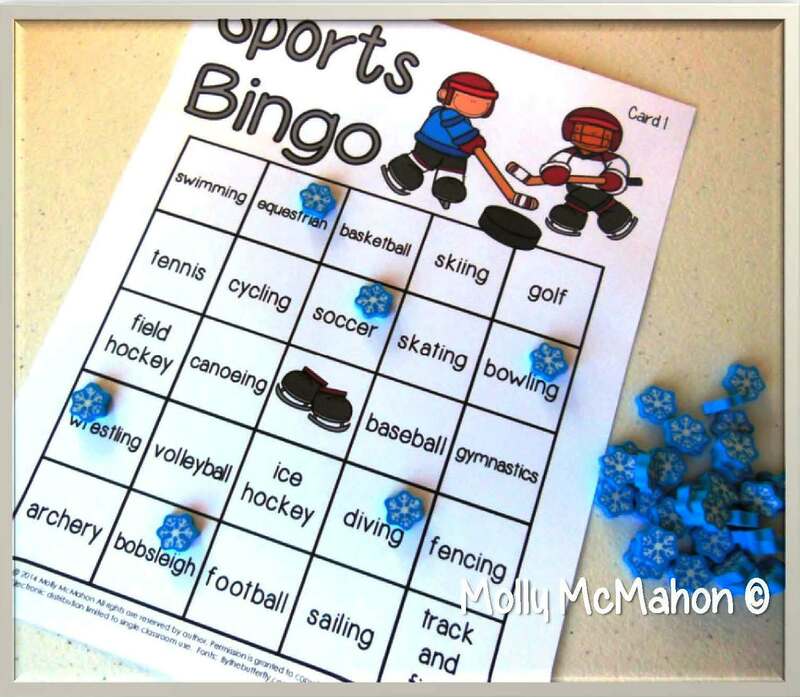 The bingo games are for second grade through upper elementary. Reading the names of each sport is necessary to play the game. Therefore these games won't work well for kindergarten or first grade. In the future, I might make a sports bingo game for younger children which will have images to support the text. 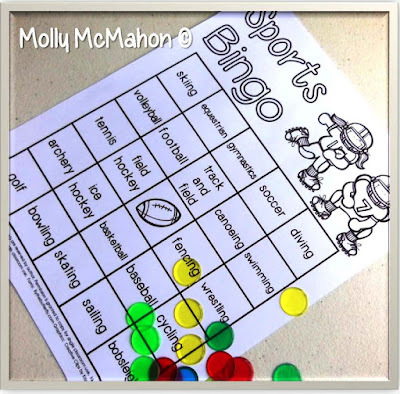 Here are a few photographs from my sports bingo games. The 1st 3 photos are from my color ink version. The 2nd 3 photos are from the black ink version. 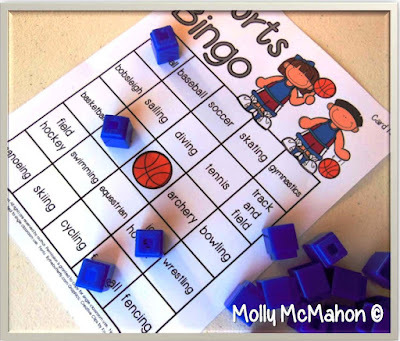 My bingo games are designed with enough room on each space for a variety of classroom materials to be used as game markers. Bingo chips or paint daubers are not necessary. I've also included several sets of paper game markers with these games.